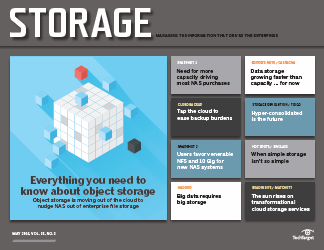 Object storage is sizzling hot, with technologists calling it the necessary building block for efficient cloud storage and big data projects. 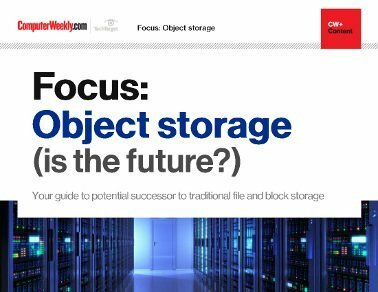 As awareness grows about the importance of object-based storage, so does the list of questions from some storage pros. 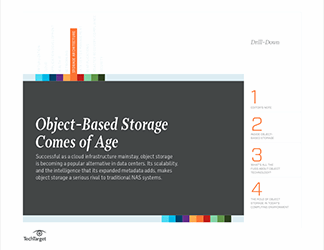 Should you add object storage to your existing system, and what's the best way to go about it? Do you need to make a major investment or a small one? Many storage pros are aware of companies using massive object storage systems, such as Amazon S3, but they aren't sure how to incorporate the technology into their own systems. 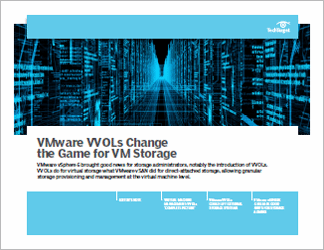 But they do understand the appeal; it's significantly more scalable than traditional file-system storage, mostly because object storage relies on less metadata to store files. 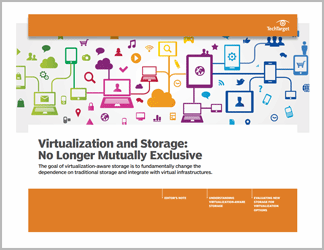 This handbook offers expert analysis and technical tips for IT pros looking to incorporate object storage into their architectures. What's all the fuss about object technology?